When you choose Feldco for your new replacement windows, you know you’re getting the best product on the market. You can also count on having excellent professional window installation. We offer window installation in Chicago to ensure your windows have a proper and secure fit. We provide Chicago with the best replacement windows on the market. No matter what style of home you have, Feldco has the best selection of windows to choose from. Double hung windows– Our most popular option, double hung windows have two sashes that open and close with ease and offer excellent ventilation. Casement windows– With the turn of a single hand crank, you can open your windows outward to bring in fresh air. Casement windows also offer an unobstructed view. Sliding windows– Open horizontally, right to left. Extremely easy to use and have a contemporary style. Bay and bow windows– Extend beyond your home’s exterior adding dimension to your home. Can consist of casement or double hung windows on the sides. Picture windows– Usually large and used with other styles, picture windows are inoperable but provide great views and natural light. Awning windows– Opening outward from the bottom, awning windows are great for ventilation no matter the weather outside. Basement windows– Also known as hopper windows, these are perfect for adding extra light and ventilation to your basement. Garden windows– Extending from your home’s exterior, garden windows have windows on all sides except the bottom. They provide maximum sunlight while providing additional space to your home. Architectural windows– Add even more style to your home with specialty windows. Available in a variety of shapes and styles. Our energy efficient windows go hand in hand with professional installation. Your replacement windows in Chicago will perform to the best of their abilities after installation. Each window installer is thoroughly trained and has become an expert in the field. To make sure you can benefit from all the great qualities of your new windows, the window openings are measured with extreme precision. A product specialist will first take measurements during your in-home demo. In order to maximize accuracy, a Measure Technician will measure the openings again. Double checking the measurements is an extra step we take to get your project done correctly the first time. Feldco has the best replacement windows in Chicago so it’s only right that we offer the best installation services. Your window installers will be some of the best contractors in the home improvement industry and have successfully installed over 1,250,000 windows. The installers know our products like the back of their hands and their expertise will be apparent on installation day. Living in Chicago, it’s imperative that your windows work properly. We all know how intense every season can get. That being said, your replacement windows will only work as well as the installation allows. You can rest assured knowing your Feldco windows were professionally installed by true experts. 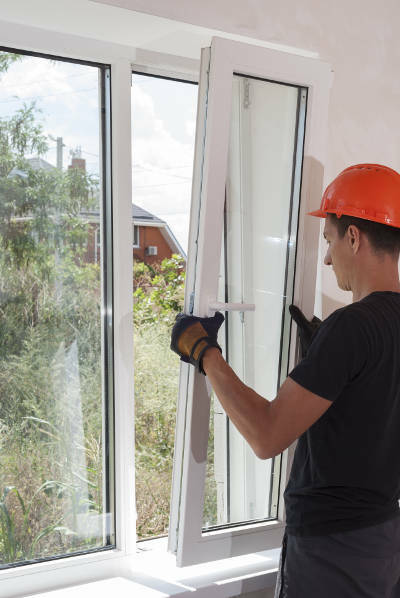 After installation is completed, they’ll show you how your new windows operate and clean up afterwards so you don’t have to worry about any mess. The entire process will go smoothly and efficiently. You’ll start noticing the wonderful benefits of your replacement windows the minute after they’re installed. We’ll do all the hard work for you. All you have to do is choose your new windows and the rest of the process will handle itself. Get a free quote right now!